Here's to the bartenders and cocktail servers who make sure the end of the day -- happy hour -- is more relaxing than its start! We salute you for mixing the perfect martini, be it shaken or stirred! 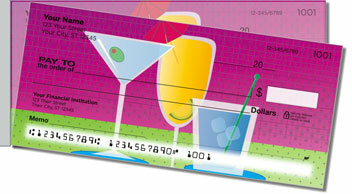 Introducing Drink Up Side Tear Checks, a fun-filled offering from the Food & Drink Checks collection at CheckAdvantage. They're the perfect choice for barkeeps of every persuasion! 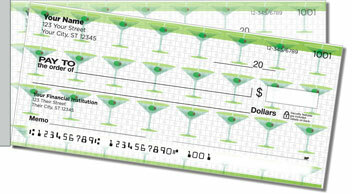 But don't worry -- there's nothing sobering about these checks! 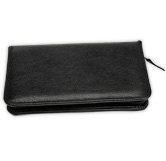 For one thing, they won't rip in the wrong place when you separate them from the pad, thanks to the short, left-side perforation. 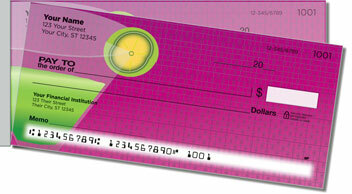 It improves leverage for a trouble-free tear and no more wasted checks! So what are you waiting for -- last call? 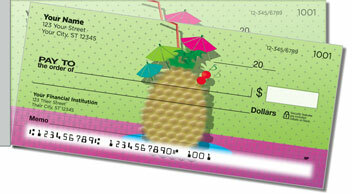 Order your very own Drink Up Side Tear Checks and matching address labels now!